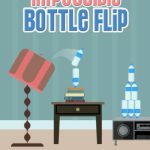 Flippy Bottle Extreme is one of those games that’s easy to learn and hard to master. 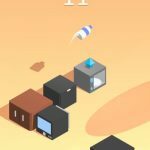 As the title suggests, this is a bottle-flipping game from Most Played Games that’s available for Android and iOS platforms. The game challenges you to be the Master of Flip, by flipping the bottle to extreme victory, and you’ll have to go around the house, or even step outside to play this game (as the developers claim), may it be in level-based or endless mode. 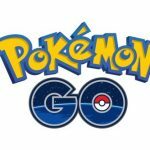 You can collect as many bottles as possible, or compete with other players from around the world in hopes of climbing the leaderboards. Truth be told, the art of flipping bottles in a mobile game can really be hard to master, and the process of it all could be very challenging for a casual game like this one. But if you want to start flipping on a high note, and fast-track your way to becoming the “Master of Flip,” read on, and check out our list of beginner Flippy Bottle Extreme tips and hints. What the game tells you at first is very simplistic – swipe at an angle so you can flip the bottle and take it toward the platform. Sounds easy enough, but as you’ll find out, it’s actually more like easier said than done. One good thing Most Played Games did in this title is to make the physics as realistic as possible, especially for a game designed for the casual player. Think about it as if you were flipping a real bottle, and practice, practice, practice. Don’t be afraid to go through the long and arduous trial and error process. For instance, some players have gotten good results by swiping without much of an angle, making your motions almost straight-up. That’s a good way to get the bottle flipped toward a modestly elevated platform. You may, however, want to tweak the angle or swipe harder if you’re trying to reach those higher platforms in the game. We don’t need to remind you that practice makes perfect. But which mode should you practice in? Flippy Bottle Extreme has multiple, but the mode you want to try is Endless Mode. This allows you to keep flipping the bottle as many times as possible, with one platform to work with. This is the best mode to practice in for beginners, as you can theoretically keep flipping, while not having to deal with a lot of challenges. Even when you get good at flipping, you can still practice in Endless Mode for a change of pace, something to clear your mind before you tackle the harder levels. Instead of using your thumb, which would be what most players do on most mobile games, we suggest using your index finger instead. It might feel unnatural at first, especially if you’ve been using your thumb in most every mobile game you’ve played, but as you may discover, it may help improve your accuracy when flipping the bottle. For now, these would be our tips and tricks for Flippy Bottle Extreme. 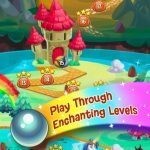 Do you know other tips to complete more levels in the game? Let us know below in the comment section!